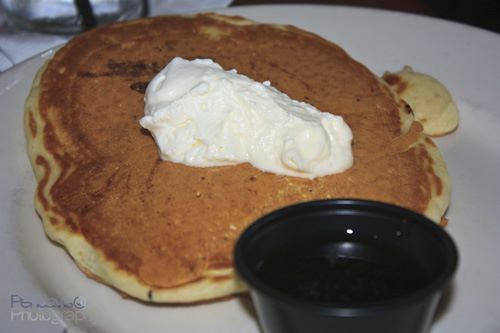 Today's choice off the breakfast menu was Keystone in Covington Kentucky. My wife and I ate at this delightful place called Keystone in Covington. The food was great. The service was okay, and I cant find my notes about it. This review is a little light as a result. Keystone is a pretty well known brunch place. I have seen it foursquared and checked in from various facebook friends as well as good reviews from other well known food blogs. So I decided we should check it out. 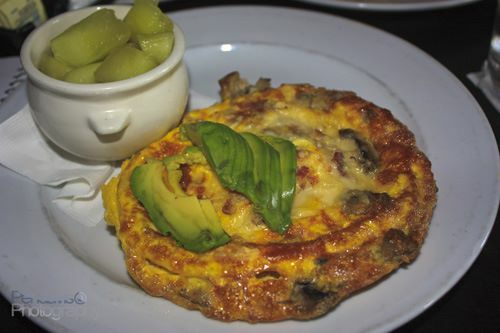 We ordered the Keystone Frittata which comes with bacon, mushroom, and Swiss cheese. It was very delicious. 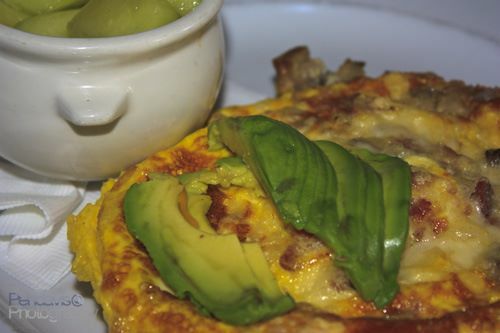 I like the Frittata, which had the flavors baked in. It had a nice robust flavor and the avocado was a welcomed addition. The fruit cup that came with was pretty much melon, which is not my forte. 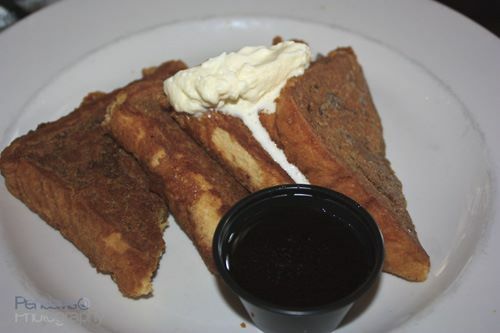 They offer a dish called Keystone French Toast which has "two slices of Texas toast encrusted with ginger snaps and graham crackers, griddled and topped with Grand Marnier whipped cream." I liked it but it was a little "dark" for my tastes. I prefer a more vanilla flavor to my french toast The ginger flavor made it spicy but it was not to my taste. The real reason we came was the potato crisp, which was reminiscent of the "Inn the Wood" experience. Keystone name drops what used to be one of Cincinnati's best brunch spots "Inn the Wood" which was a restaurant in Clifton that was one of my most favoritest places in the whole world. It was tragically a victim of the Clifton revitalization phase where they tore down all the restaurants between that block of McMillan and Calhoun street. My wife and I cut our Florida vacation a day short when we heard they were going to close the place so we could drive back and have one last breakfast there. Inn the Wood got me through many a post exam victory omelet and had a wonderful french toast. Sadly this place was lost to future generations. Thankfully Keystone wanted to preserve a little bit of that history by creating their own version of the Inn the Wood Potato Crisp. 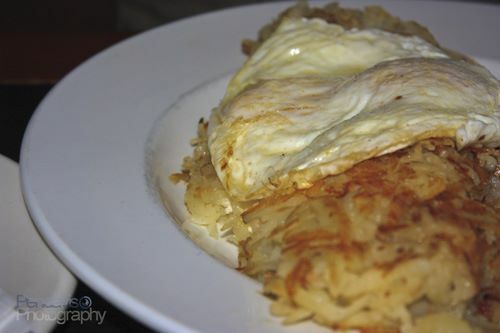 It is a large platter of hash browns stuffed with bacon, tomatoes, onions, and sour cream. It isn't quite what the original Inn the Wood was, but it was phenomenal to get a quick taste of a long lost treasure. I give this place 3.5 out of 5 eggs. Keystone offered good food for a good price. The service was a little poor on our visit but that was probably because the place was packed. Many people speak highly of this restaurant, which if I were judging it only by the potato crisp I would agree but it just didn't hit the right notes for me.